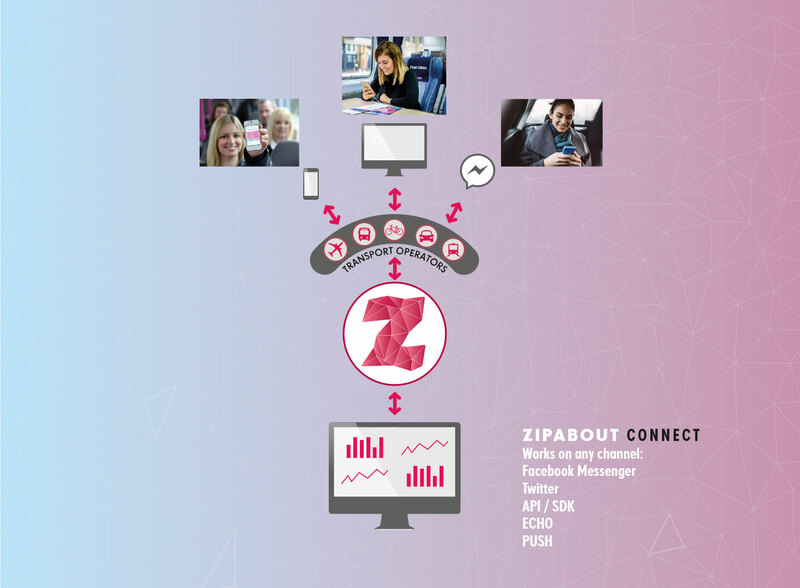 Zipabout connects your passenger via Messenger (or any digital channel) to the Zipabout platform, enabling you to provide them with live, personalised communications aligned to their door-to-door journey. Underpinned by an ethical and GDPR-compliant consent model developed in partnership with the DfT, the passenger remains in control at all times. Ongoing conversations with passengers not only increases engagement but also drives analytics to help you improve your services. By understanding the passenger, Zipabout enables otherwise impossible business intelligence. Whether you need to redesign services, inform behavioural change and sustainable transport models or power disruptive initiatives (MaaS, CAV, DRT et al), the passenger comes first. Say sorry. Buy them a coffee when you're running late, or treat them to a day out when you have the capacity. Create loyalty schemes, rewards and incentives that are entirely personal to them. Nobody wants 2-for-1 anymore, so make it count.